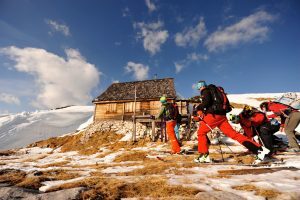 Our certified ski guides will organize the perfect ski tour on the Dachstein plateau. 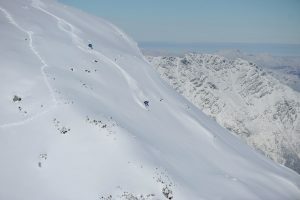 The course and the skill of the participants determine the tour planning. 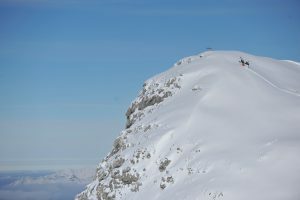 Whether you are a beginner or an advanced skier, you will have a wonderful tour day with fantastic downhill runs in the unpaved powder snow or Firn, with a view of the breathtaking scenery of the Dachstein Massif. 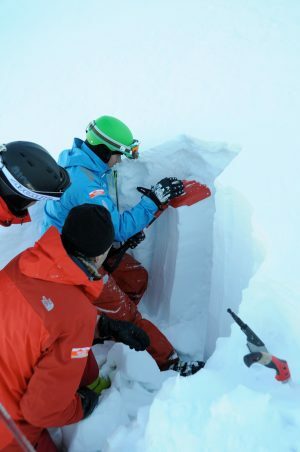 The security of the mountain is our top priority, therefore the avalanche behavior including VS training is always briefly explained and practiced. Not included are lift ticket and overnight stays. Safety equipment such as a VS unit, shovel, probe is provided free of charge, if not available. 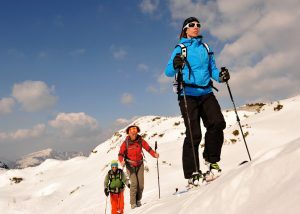 The entire Alpine area, with its many well-known and interesting mountains, invites you to be climbed on skis. 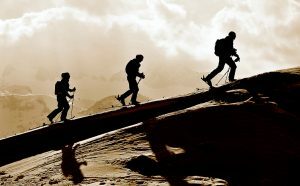 Our experienced mountain and ski guides will guide you safely to the summit by way of the optimal ascent variant, before descending down through fantastic deep snow slopes. We will gladly take over the entire tour planning and implementation for you. Let us know which tour you are pursuing, we will ensure that this is an unforgettable experience. Tour plan with costs on request. 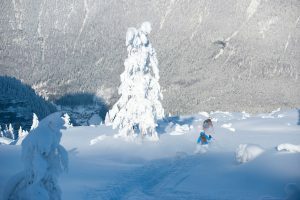 In America, this type of outdoor training is known as Winter camping. 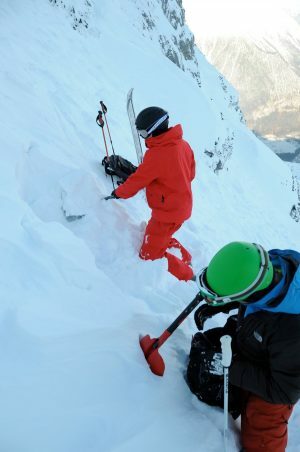 With touring skis or snow boots, you cross the Dachstein plateau and use both natural terrain forms and technical equipment such as the GPS device for orientation. You sleep in the self-made igloo in a super-warm sleeping bag. The dinner and the breakfast for the next day you prepare yourself in the igloo.